This entry was posted in ammunition, pistol, training, weapon and tagged 22LR, red dot. Bookmark the permalink. I love my Victory, except one of the supplied magazines is bad (will only feed one round from the bad one, other works flawlessly). I really like the halo charging ring. I’ll add that to my wishlist. I really enjoy my Victory. 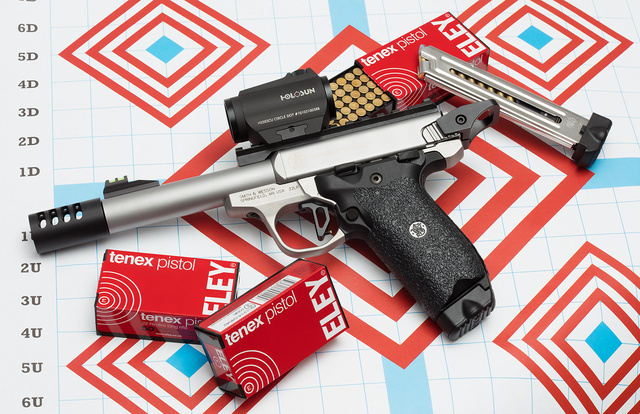 It is one of the most accurate, straight out of the box, .22 LR pistols that I have shot. It has also performed flawlessly with any .22 LR ammo so far.